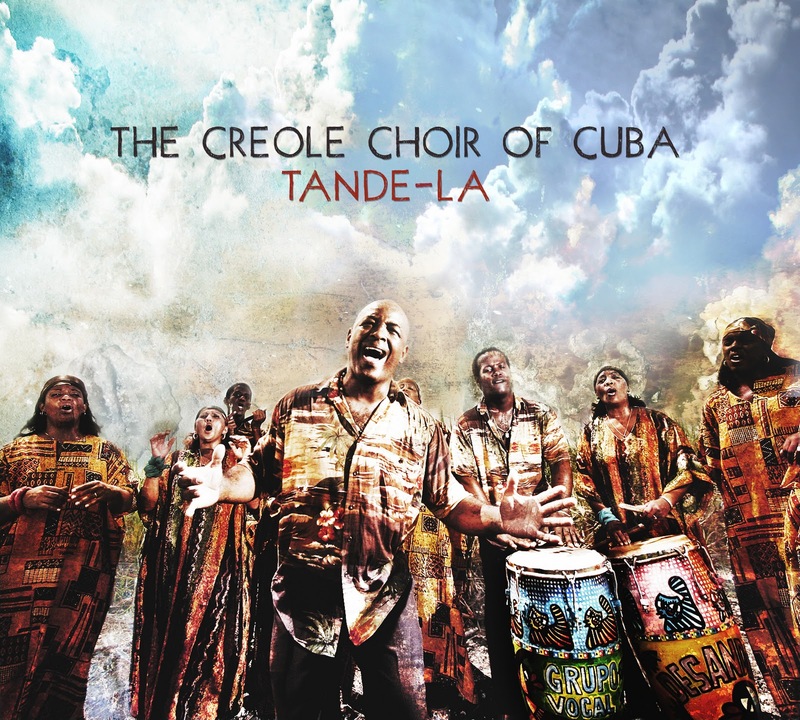 Indeed, much of the music on this recently released album does not sound typically Cuban at all- it is often intense and full of passion, with soulful solo singing set against a pulsating and rhythmic chorus and typical Haitian drums.This stands in contrast to the more stately music of the familiar Santeria choral tradition. It is also mostly sung in the creole language. 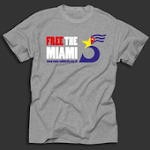 But all this is only unexpected to those who are unaware of the huge number of eastern Cubans who are of Haitian descent - people who have made creole the second language of the island as well as bringing Haitian culture to the very heart of what it means to be Cuban. Indeed as late as 1986 the Cuban film directors Roberto Roman and Joel James considered it necessary to make the documentary 'Huellas' in order to remind Cubans themselves of the importance of Haiti in their own cultural story. As in the film, the strength of creole culture is obvious in every one of these songs. 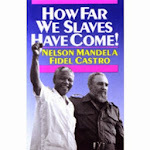 Their themes all relate stories and scenes from the lives of Haitians and the music is by turns moving and inspirational. 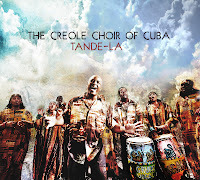 There is also an underlying defiant quality to the singing which reflects the struggles of the Haitian people both in their own country and during the many years of continued slavery conditions in cuba which effectively carried on right up to the Cuban revolution in 1959. this struggle determines the programming of the tracks - they become more intense and challenging as the album continues. The delightful inclusion of Miguel Matamoros' calm and simple love song ‘Dulce embelezo' towards the end of the set has the effect of reminding the listener of the overwhelming Haitian influence on the cherished music and culture of Oriente province (birthplace of Matamoros) up to the present day, as well as quietly setting the scene for the final, defiant song whose call and response form perfectly expresses its theme of the need for unity against injustice. In an unforgettable gesture this amazing Choir spent a large amount of time in Haiti in the aftermath of the earthquake a year ago, providing inspiration and hope to those in the midst of great suffering. Such is the commitment of this choir to its roots and to the message of life, love and strength contained within this wonderful Cuban music - and that is no surprise at all.